“Looking out over the crowds, with the downtown skyscrapers as a backdrop behind us, in our own hometown, was a pretty awesome experience for us,” - John Doe. 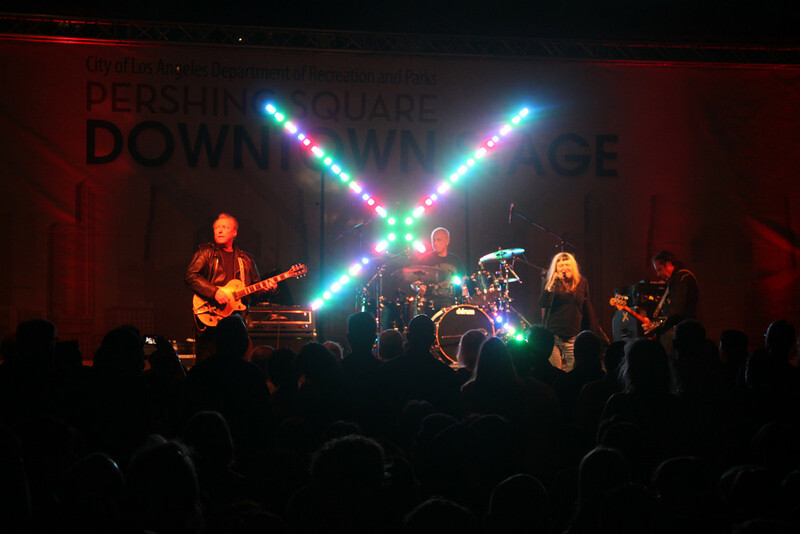 From Louise Capone: "The downtown stage audience was great and for X to give back to the Los Angeles community was fantastic. The dept of Recreation and Parks was proud to be a part of it." Next Up: X will join their east coast comrades, BLONDIE, as a Special Guest on their fall U.S. “No Principals Tour”. Set to kick off September 5th, the bands will hit U.S cities including Atlantic City, Washington, DC, Chicago, San Francisco, Austin, Houston, Dallas, Nashville, Atlanta and Philadelphia before wrapping October 4th in New York City at Roseland Ballroom.